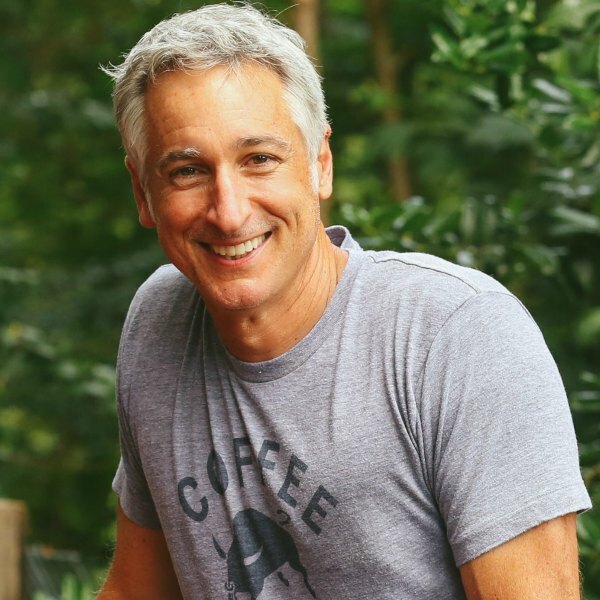 Just about everyone loves blueberries, but this week’s guest – Dr. Lee Reich – might just be blueberry-obsessed. Lee knows how to grow bountiful blueberries and has been perfecting best practice techniques for over 30 years on his small farm in New York state. Beyond bearing delicious fruit, blueberries are also an attractive addition to the landscape. 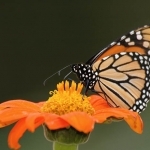 They are largely pest free and can be grown in every zone of the continental U.S. There are many varieties of blueberry, and they all have the same basic needs. 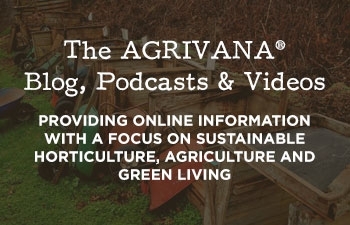 This episode walks you through everything blueberry – from preparation and planting to maintenance and harvest. Lowbush – This is the hardiest of the three types. Growing just 12-18” in height, they withstand snow cover and frigid temperatures and do well in zones 3-7. Highbush – Varieties of this type of blueberry can be grown in zones 4-7. There are Northern Highbush types and Southern Highbush types. The Southern Highbush variety is less cold tolerant and best for those in warmer climates. These shrubs grow up to 7’ in height. Rabbiteye – The Rabbiteye blueberry can grow up to 12’ high. It is native to the southeastern U.S. and, as you might expect, is tolerant of extreme heat. Rabbiteye blueberries can be grown in zones 7-9. Rabbiteye varieties are also more tolerant of less-than-ideal soil conditions. There are blueberry hybrids available too. For example, half-high berry bushes combine the hardiness and low stature of the lowbush with the heavier fruiting quality of the highbush. Blueberries are self-pollinating, but planting at least two varieties in the same general area will increase the pollination rate and crop yield of both varieties. You can also expect to see larger berries when you plant more than one variety. A third benefit to planting more than one type? An extended blueberry season. When shopping for blueberries for your garden, pay attention to the ripeness period. If you select a mix of varieties that each ripen early, mid and late in the growing season; you could be enjoying blueberries all summer long and into the fall. Did you know that the blueberry bush is related to the rhododendron, azalea and mountain laurel? So, the blueberry plant isn’t just a delicious edible for your landscape. The showy blueberry bush keeps the visual interest coming all year long. They produce beautiful spring flowers and attractive foliage all through the summer. 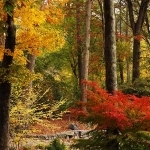 Come fall, that foliage turns to spectacular tones of red, yellow and orange. In areas with cold winters, the bark of the blueberry bush changes to a deep red – a real standout in those stark, snowy months. 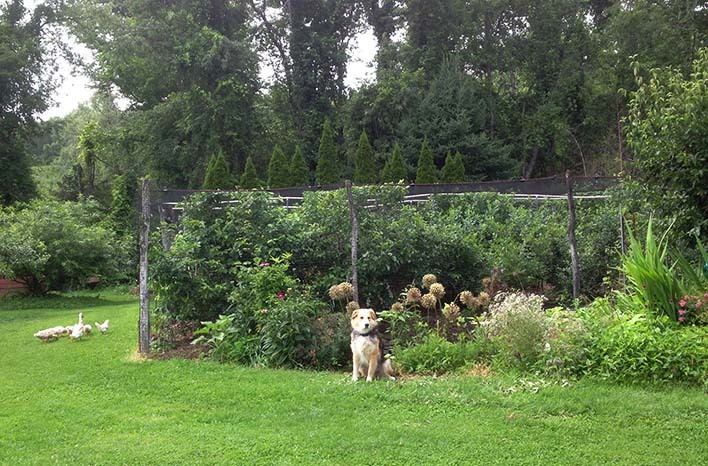 Lee even utilizes lowbush blueberry bushes as a ground cover in areas of his landscape. 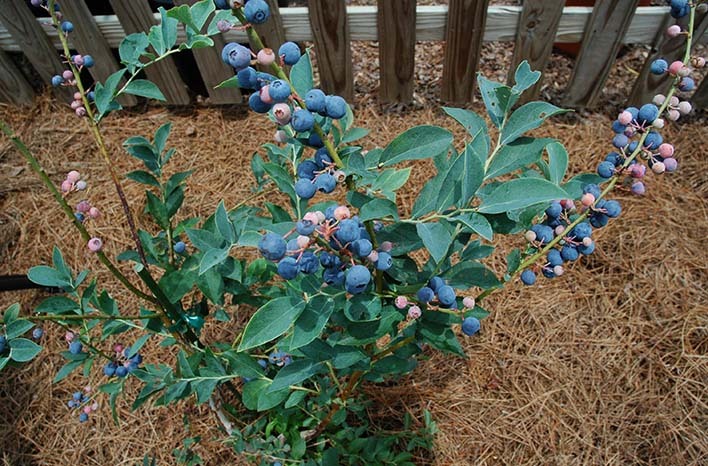 Blueberry bushes provide big bang for your garden dollar. While most edibles prefer a soil pH in the neutral range – around 7.0 – blueberries will grow and produce best in acidic soil. The soil around your blueberries should stay in the 4.0-5.5 pH range. What’s the best way to achieve that? Start with a soil test. Soil tests are available through your local county extension office and are fairly inexpensive – around $25. 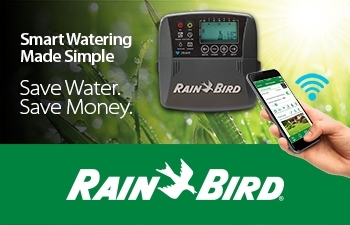 The county extension office will provide everything you need. Be sure to allow a few weeks to receive the test results – a detailed description of your soil fertility and pH. It’s commonly thought that adding acidic materials, such as pine needles or oak leaves, will sufficiently increase the acidity in soil around blueberry plants. This is a myth – those materials won’t provide an impactful or long-term effect. Instead, you will need to add sulfur, an organic soil acidifier. Sulfur is available in powdered or pelletized form. The powdered form is typically expensive, and it can be hazardous to use – since it creates a fine, breathable dust. 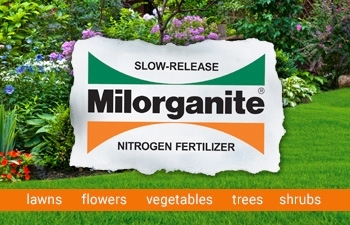 Pelletized sulfur is less expensive and safe for the home gardener. The soil test results report you receive will indicated your existing soil pH level, and the sulfur packaging will detail how much to add to achieve the correct pH adjustment. However, you will also want to bear your soil type in mind. For example, sandy soil will require significantly less acidifier than clay soil. Don’t know what type of soil you have? Grab a handful of your soil, and clench it in your fist to determine texture. Does it break apart quickly? Your soil is comprised of mostly sand. Does it form a firm ball? You are working with clay- or silt-based soil. Loamy soil with plenty of organic matter should come together in your fist but separate easily if you press on it with your finger. Once you’ve determine soil type and amendment quantity, Lee recommends spreading sulfur over the soil where you intend to plant your blueberries. As you dig the planting hole, the sulfur will incorporate with the soil. 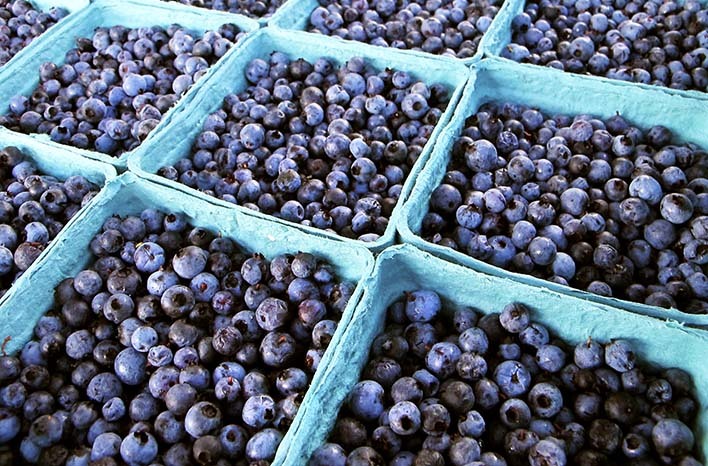 In addition to acidity, blueberries prefer soil that is well-aerated, consistently moist and high in organic matter. When you think organic matter, hopefully you think compost. I love compost, and I hope you do too. But this is a rare moment in the garden when using compost will actually be detrimental. Blueberries want lots of organic matter, but they don’t want a lot of nutrients. Since compost is rich in nutrients, it’s the wrong choice here. Instead, Lee recommends using peat moss. Peat moss is long-lasting (slow to break down) and is low in nutrient value. Once he’s dug the planting hole, Lee adds peat moss to the soil he’s dug up. How much peat moss? Well, that’s not terribly scientific. Grab any bucket you have onhand, and fill that bucket with peat moss. You will be looking at Lee’s recommended quantity of peat moss. This part really doesn’t need to be exact. The idea here is simply to incorporate a generous amount. Lee mixes the peat moss with the soil dug from the planting hole (which further incorporates the sulfur too). Once the blueberry rootball is set in place, Lee backfills with the soil, peat moss and sulfur mixture. The sulfur will work to lower the soil pH, and the peat moss will aerate the soil and provide a good dose of low-nutrient organic matter. There’s no denying Lee’s methods work. Just take a look at this Garden-of-Eden-like cluster. Once planting is done, don’t forget to mulch. Mulch is always important as a final step, but with blueberries, it’s even more so. The shallow root systems of blueberries are susceptible to weed competition and to drying out in that soil near to the surface. 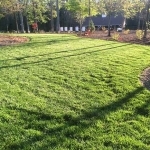 By adding mulch, the soil is insulated against weed germination and dry air. The type of mulch you use is important. This is not the place for rubber mulch or lava rock. Use sawdust, wood chips, leaves, pine needles – any organic material. Why? 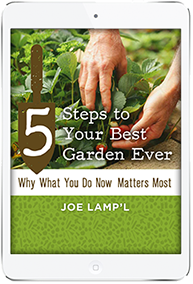 That organic matter will break down over time and will continue to improve the soil and your blueberry bushes. The final step? Proper watering. Providing enough – but not too much – water will get your blueberries off to a robust start. A good rule of thumb is to provide an inch of water during the course of a week. 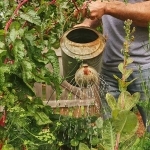 Drip irrigation is the best watering method for shrubs of all kinds. It will provide water at a slow and low rate, which allows for best absorption by plant roots. 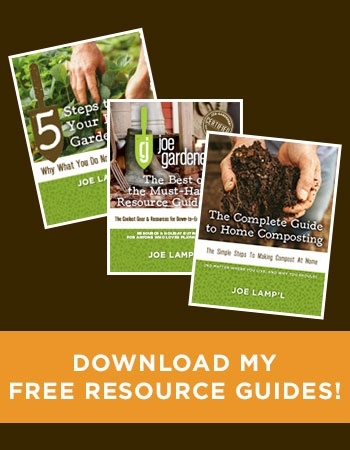 Aside from checking moisture levels periodically and maintaining a good layer of mulch, there are only a few other maintenance issues to plan for as your blueberry bushes grow. First, perform a soil test every two years or so to know when to re-acidify your soil. An amendment of sulfur will lower pH temporarily, but as the months pass, your soil will begin to shift back to its native pH level. 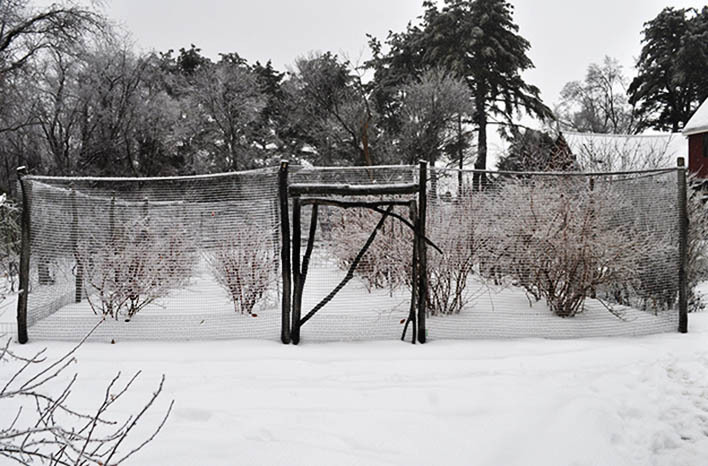 It’s best to prune blueberry bushes while they are dormant – before leaf buds have formed on the stems. Prune out any branches which are crossing (rubbing against each other), are arching toward the ground, or which (when in leaf) will block out too much light from the center of the bush. 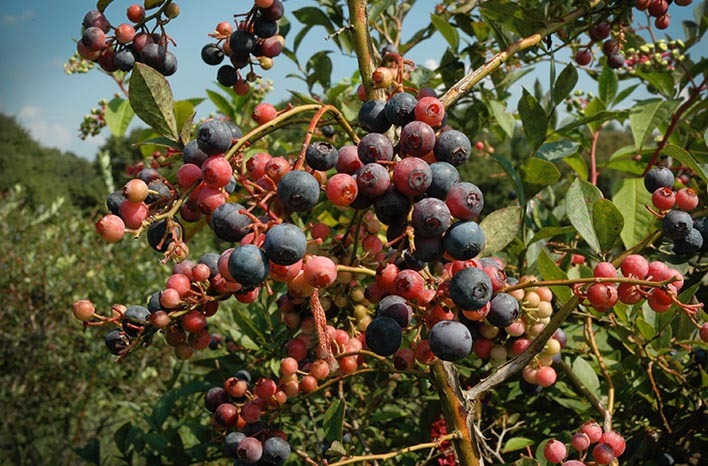 Blueberry bush stems have a limited production lifecycle. 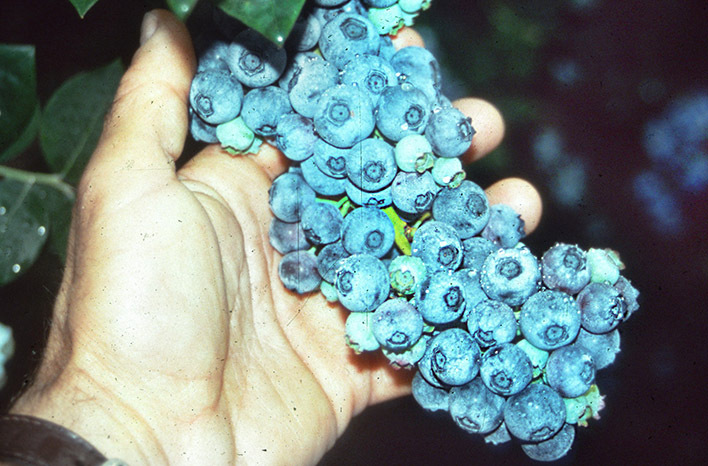 Stems which are 6 years old or more will produce fewer and fewer berries over time. Meanwhile, the bush will continue to produce new shoots from the base of the plant. So for the healthiest plants and bountiful crops, prune out these older stems to make room for the new shoots. Once your bush is about 6 years old, look for any stems that are one inch or more in diameter. These are the 6+ year stems. 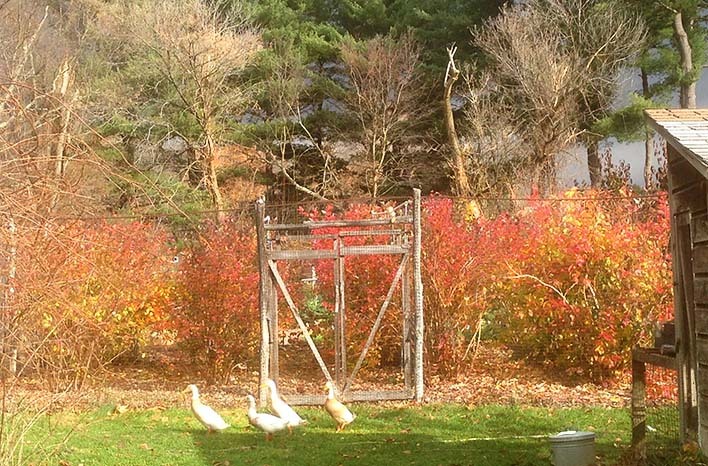 Prune those all the way to the ground, and add those branches to your compost pile. If the bush developed several young shoots during the previous growing season, select four to six of the sturdiest shoots, then prune out the remaining shoots. This type of yearly “renewal” pruning cycle is the best practice for managing growth. 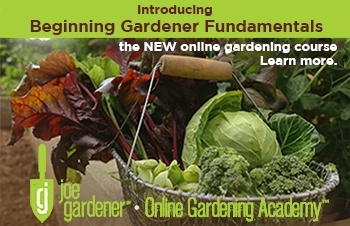 When you manage plant growth, you encourage new growth and set the plant up for optimal health and production. Pruning might seem intimidating or you may just hate to cut out a stem that will produce berries – but it is an important task to improve your plant. 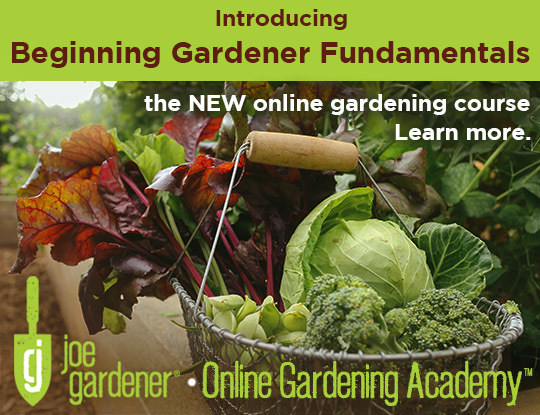 I provide more details on pruning in an earlier podcast, and you can even watch my how-to video to learn the basic fundamentals and common mistakes. 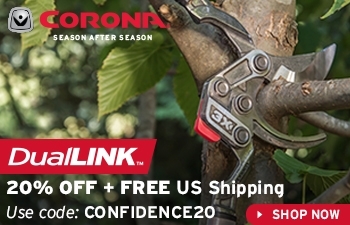 Although this renewal pruning should only be performed while the bush is dormant, you can prune out dead branches and stems at any time throughout the year. If a stem dies for any reason during the growing season, the sooner you cut it out the better. 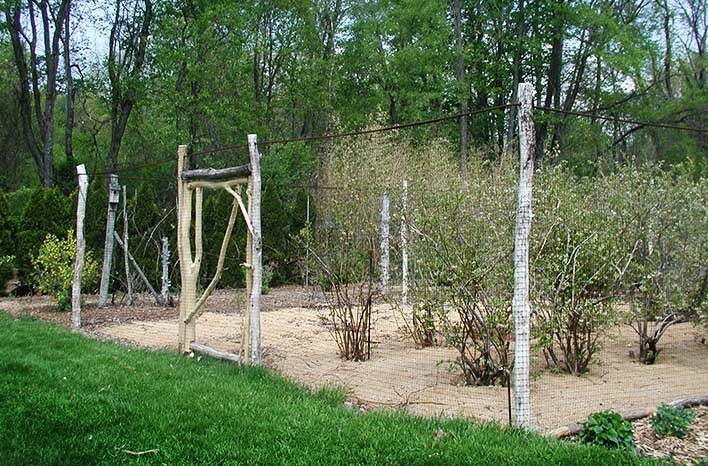 Although blueberry bushes don’t like soil rich in nutrients, they do require some nutrients. If you’re using organic mulch, that material is providing some nutrient benefit as it breaks down. However, your blueberries will still benefit from a small amount of nitrogen. Lee recommends applying soybean meal, alfalfa meal or cottonseed meal once each year. Meals provide a good dose of organic nitrogen – without overdoing it. Two pounds of meal per 100 square feet of blueberry bushes is a good rule of thumb. This little bit of attention just once or twice each year is all your blueberries need. Then, they will be ready to withstand drought, late frost and other challenges that would sink the crops of many edibles. In his 30 years growing blueberries, Lee has experienced all these challenges, but he’s never experienced a bad harvest. His blueberry crop even withstood mauling from a 17-year cicada awakening. Speaking of pests, blueberries are more resistant to pests and diseases than most plants in your landscape. There are, however, a few to keep a watchful eye out for. 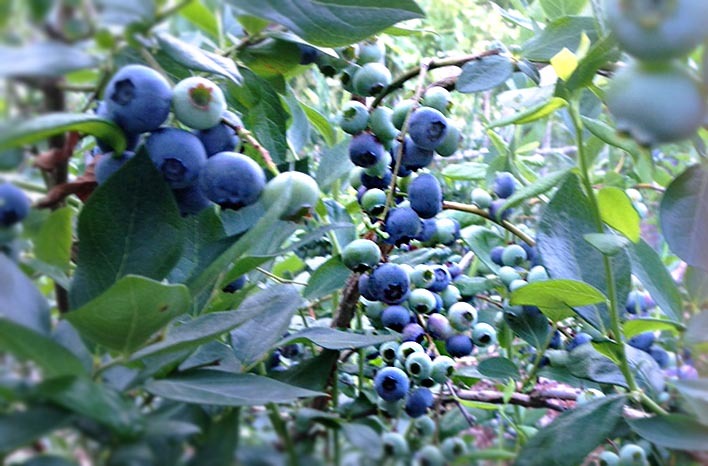 A GardenFarm blueberry bush – I managed to take this shot before the chickens stole all the berries. They perform vertical leaps to pick the berries right off my four foot tall bushes. I admire their agility, but I’d sure appreciate if they would be better about sharing! You will know your bushes are being attacked by mummy berry (Monilinia vaccinii-corymbosi) if the fruit on the bush begins to mummify and fall to the ground before ripening. The fungus which causes this disease is wind-borne, but don’t be too alarmed. Remove and discard as many of the mummified berries as you can to avoid further spread of the disease. Don’t add those berries to your compost pile. At the end of the season, spread a thick layer of mulch (1-2”) around the base of your berry bushes. The mulch will cover any of the mummified berries you’ve missed. When those berries are covered, the fungal spores can’t spread, so your next year’s crop should be safe. As a side benefit, that fresh layer of mulch will help insulate the soil and break down to improve soil health. The SWD is a type of fruit fly and a common blueberry pest. Although most fruit flies are drawn to overripe fruit, the SWD eats underripe fruit. Problems with the SWD are relatively new to the U.S., and Lee has been working with Cornell University to develop bait traps for this berry-hungry pest. The traps are proving to be effective, but they are still being tested by the USDA before they will be available to the home gardener. In the meantime if the Spotted Wing Drosophila is a problem in your area, you can avoid them by planting early-ripening blueberries. The SWD doesn’t strike until early August. Another blueberry pest to watch for is the Rhagoletis mendax or blueberry maggot. You will see the small fly-like adult form of the Rhagoletis mendax flying around your blueberry bushes. Traps are an easy and organic treatment. These bugs are attracted to the color red (although green has been found to be effective as well). You can use any red or green orb you have onhand or purchase one at garden or home improvement centers. While you’re there, purchase some Tangle Trap – a sticky substance that you coat the orb with to create the trap. Be careful when you apply Tangle Trap – this stuff is so sticky it is very difficult to get off of your fingers! Hang the orb trap among the blueberry plants. The maggot flies will stick to it and die. Lee likes to coat a McIntosh apple. He hangs the sticky apple among his bushes and has found it will last all season long. At the end of the season, he removes the apple and adds it to his compost pile. 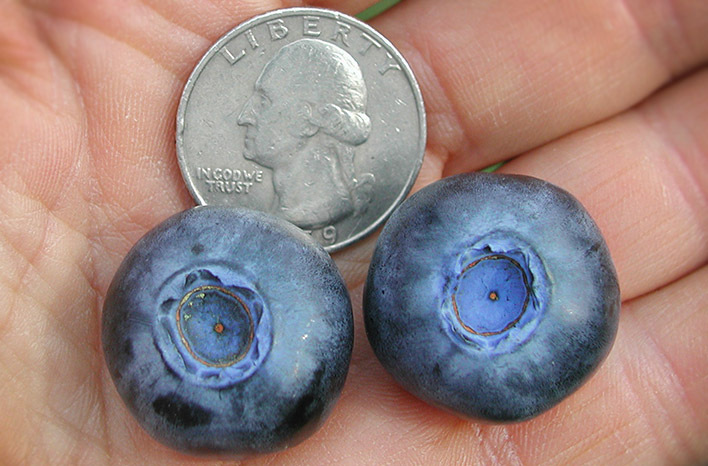 The maggots of both these pests develop inside the blueberry fruit. If you are concerned that there may be maggots in your blueberry crop, refrigerate the berries for at least 48 hours before eating them. The refrigeration will kill any maggots in the berries. It may not sound appetizing, but the berries will still be tasty – and safe. You can also test your berries by mixing a teaspoon or two of salt in one cup of water. Submerge the berries in the solution for 10-15 minutes. If there are maggots present, they will crawl out of the berries. Here at the Atlanta-area GardenFarm™, my only blueberry pest (other than the chickens!) has been the Datana ministra or yellow-necked caterpillar. Covered in long white hairs and with a large yellow band around their heads, these bugs don’t exactly blend in to their environment. The fact that they strip the foliage off of my blueberry bushes makes them pretty highly visible too. It’s not hard to spot a big, hairy caterpillar on a naked blueberry bush. For these pests, I apply Bacillus thuringiensis, a microbial (organic) insecticide. Bt, as it’s commonly known, is widely available in powder or liquid form under product names like Dipel or Thuricide. As with all treatments, be thoughtful and targeted in your application of Bt to avoid impacting surrounding beneficial insects. The most notorious blueberry pest issue, though, are the larger pests. 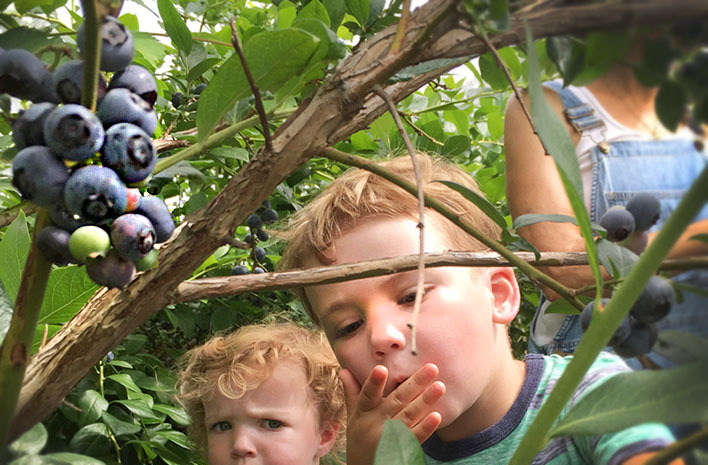 Birds, deer, raccoons, chickens – wildlife loves the blueberry just as much as we do. It’s these larger pests that led Lee to build his “Blueberry Temple.” All of his 16 crop bushes are within this structure. Its sides are constructed of ¾” metal mesh supported by posts and rebar. 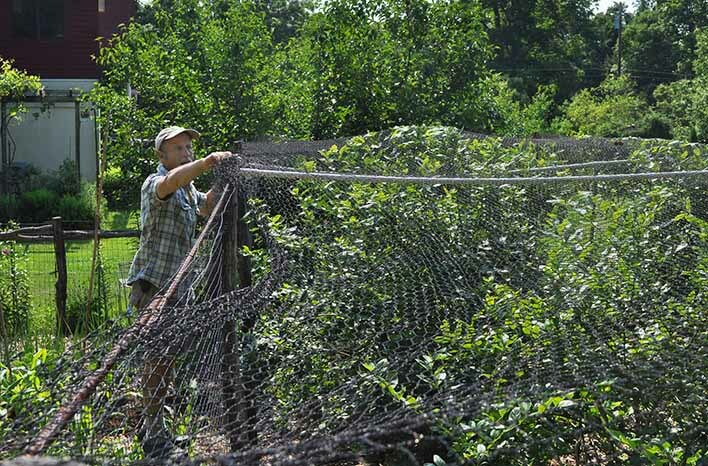 As the berries begin to ripen, Lee drapes heavy-duty netting over the top. This approach keeps the birds and other wildlife from devouring berries before Lee picks them at peak ripeness. 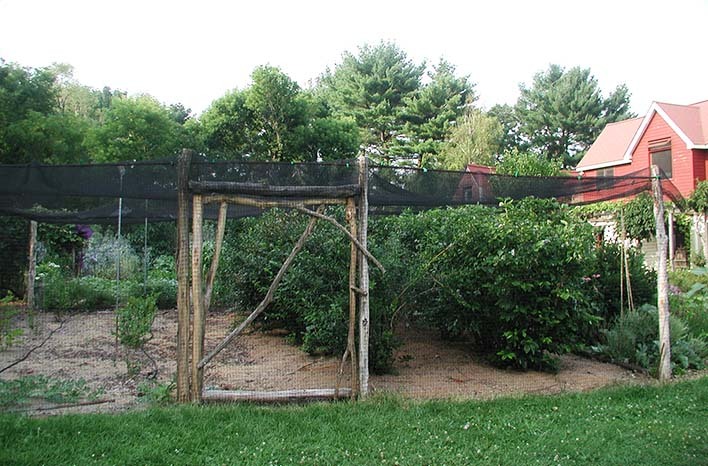 If it isn’t feasible to build your own blueberry-protecting shrine, you will need to plan some physical barrier. Hanging decoys or items meant to scare off wildlife isn’t usually effective. You might opt to drape netting over the whole bush. However, birds can often still reach the berries, and the netting can make it challenging for you to harvest. Did you know that blueberries aren’t actually ripe once they turn blue? The blue coloring is an indication that they are almost ripe. Those berries will be even better if you leave them on the bush for a few days more. Patience is a virtue and all that jazz. So, how do you tell when the berries are actually at their peak of ripeness? Lee says he “gently tickles” the berry clusters. With this gentle touch, all the perfectly-ripe berries fall away from the stem while the unripe berries remain attached. Check your bushes daily during those warm summer days – you don’t want those perfectly ripe berries falling to the ground when you aren’t around to enjoy them. Just because a blueberry is blue – doesn’t mean it’s ripe. Unless the berry falls with a gentle touch, perfect flavor is still a day or two away. So, what are you waiting for? Add some blueberry bushes to your garden – you will appreciate the fruit and the beauty of the bushes all year long. Don’t have a garden? No problem. Many varieties of blueberry are ideal for containers. Look for dwarf varieties. Even if you only have a small balcony or little spot of sidewalk – if you have sun, you can have blueberries. 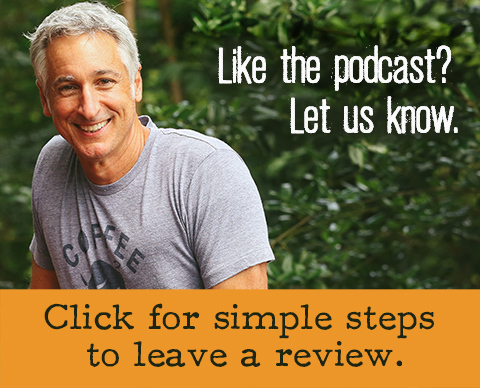 If you haven’t already listened to the podcast recording, I suggest you scroll to the top of this post and listen in. We have a little fun discussing Lee’s blueberry passion and, as always, there are a few additional details and notes of interest in our conversation. 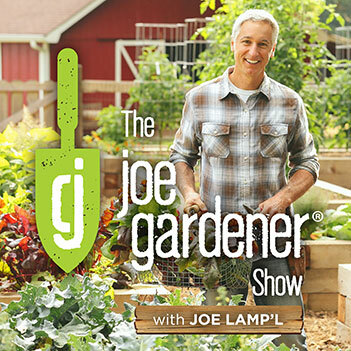 You can listen in while you shop for blueberry plants.